Head injuries in sport can range from a mild headache to severe concussion or worse. A head injury should always be taken seriously and medical attention should be sought. Symptoms may also develop over time where the player feels okay initially but over the next few days more noticeable symptoms occur or become worse. A concussion is a very serious condition that is often seen in contact sports. Severe concussions can result in permanent brain injury or even death. Concussion is an injury to the brain caused by a direct blow to the head, or from violent shaking causing the brain to ‘rattle around’ in the skull. It can, but does not always, involve loss of consciousness. Symptoms can include headaches, dizziness, sickness, confusion, and disorientation, but the level of these symptoms vary significantly depending on the severity of the injury. Even what may appear to be a mild concussion should be treated seriously because the long term effects may not be known immediately after the injury. This can include post-concusion syndrome or psychological disorders such as depression. Headaches are common complaint vary in type, intensity, pattern, and location from person to person. The majority of headaches do not require medical attention. However, if the pain is new and unusual, or if you have regular headaches but they have changed in their pattern, intensity or frequency then get advice from a Doctor, particularly if symptoms include drowsiness, numbness, stiff neck, weight loss or fever. Types of headache include vascular (including migraine and cluster headaches), cervical and exercises related. Read more on headaches in sport. Migraines are a severe form of a headache, usually accompanied by other symptoms including disturbance of vision, nausea, dizziness or pins and needles. It can be classified as with or without ‘Aura’. Aura is one or more other symptoms which usually occur before a migraine really sets in. Those who suffer regularly with migraines learn to see this as a warning signal. A skull fracture is a break to one of the bones which form the head. 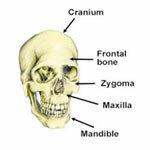 These include the cranium at the back of the head, parietal bones on the side and frontal bone or forehead. Symptoms include bleeding from the eyes, ears or nose, bruising behind the ears or under the eyes, a straw coloured liquid draining from the eyes or ears, changes in pupil size, headaches, nausea and more. If a fractured skull is suspected then seek medical attention immediately. Read more on fractured skull. A brain bleed can be either acute or chronic and occur after a severe trauma to the head. 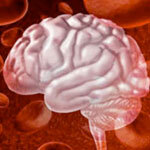 An acute brain bleed will develop quickly, whilst a chronic one may develop slowly over a period of days. Blood vessels within the brain rupture causing bleeding inside the skull. 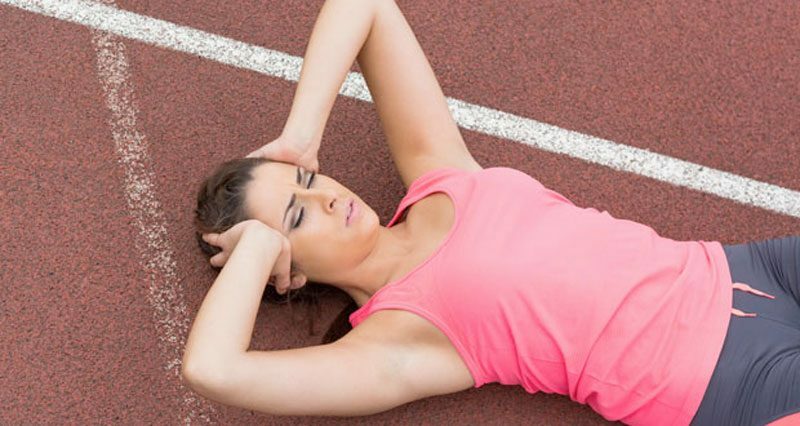 Seek urgent medical attention with any head injury as they can be fatal. Symptoms include severe headache, dilated pupil (on one side), slow pulse or the patient may be unconscious. Read more on brain bleeds.